Looking to get a good workout at home? There are only a few things you need to do all kinds of exercises and programs, and save money over a gym membership in the long run. You don't need a lot of fancy equipment or gear to get a great home workout. Indeed, you don't need any gear at all beyond your own body weight for many exercises and routines! However, investing in a few simple fitness items will help you get the most out of your home workout. These are all small items that will store easily in your closet or work-out area for handy use at any time. Considering a single month's gym membership can cost you anywhere from $20 to $50/month these days, you can purchase most of this equipment for your home use any time for perhaps the cost of just several months at a fitness center. I've listed the items below in what I consider their order of priority - so even if you don't want to purchase all your home workout gear at once, you can get started with a few things quickly and get exercising as soon as possible. I've also included some sample home workouts on YouTube which illustrate how you use these various pieces of home workout gear. Image above courtesy Rance Costa at Flickr, licensed under Creative Commons Attribution 2.0 Generic. A fitness mat is an essential part of your home workout gear. It will let you work out anywhere in your house: on wooden floors, heavy carpets...even outside on the grass if you want! For those with joint pain and problems it will minimize the impact when doing maneuvers such as planks, yoga positions, and balance exercises. 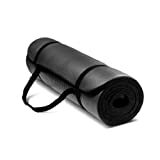 This fitness mat comes highly recommended and reviewed, and is lightweight yet also extra long. It's thick, sturdy and the non-slip surface will keep you safe. You can roll it up easily for storage or even for taking to the gym, on the road...wherever you may need to go! You don't need anything other than a mat to do these challenging and effective home workouts! Here are just a few examples of routines you can find on YouTube and where you'll be putting that exercise mat into use. Dumbbells or hand weights are definitely a home gym essential. Weights are great not just for building upper body strength but also for adding resistance and weight when doing lower body exercises like lunges and squats. It is advisable to have a variety of different weights available for your workout - some cardio can be enhanced with like 1 or 3 pound weights, where as larger weights are better for strength training. I'd recommend a beginning home exerciser should at least have 1 pound, 3 pound and 5 pound dumbbells on hand; someone with more experience might wish to begin with 3 pound, 5 pound and 8 pound weights. I recommend neoprene-coated cast iron dumbbells such as these for sale from Amazon. They are color coded up to 10 pounds, so it's easy to quickly reach for the ones you need during a workout. This shape is also better than fully rounded-cap dumbbells, as some exercises may call on you to rest your hands on dumbbells while doing push-ups or planks - difficult if your dumbbells want to roll around! The coating also makes them easy to grip. These are sold individually, so be sure to order a pair if you need them. These are just a few sample exercises and workouts using handweights. Note that you can also use them while doing lower body exercises like lunges - the extra weight in your hands means your legs work harder with every move! Medicine balls, sometimes called fitness or exercise balls, are also great to have in addition to your dumbbells. They are sometimes used in pilates and core strength building exercises - you can grip one between your knees while doing crunches or other ab exercises, for instance. 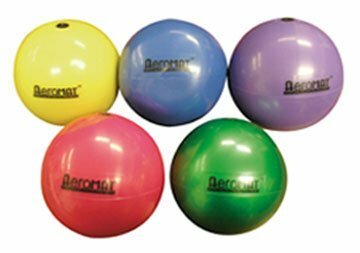 These colorful fitness balls come in a variety of weights (2, 3, 4, 5 and 6 pounds), so you can choose one best for your fitness level. They are soft and comfortable to grip and can enhance many different strength and toning exercise routines. In these videos you can see how to add a medicine ball to your strength and cardio home workout routines. Bigger than a fitness or medicine ball, the balance ball is one of the latest rages in pilates and core exercise routines - and for good reason! These large balls allow you to work on balance while building core strength and flexibility. You can do push ups while on the balance ball, crunches, leg rises and much more. I've recently started using a balance ball myself and really love it - it's great for when I need to work out some tension in my back or simply want to relax a bit while still building core strength. 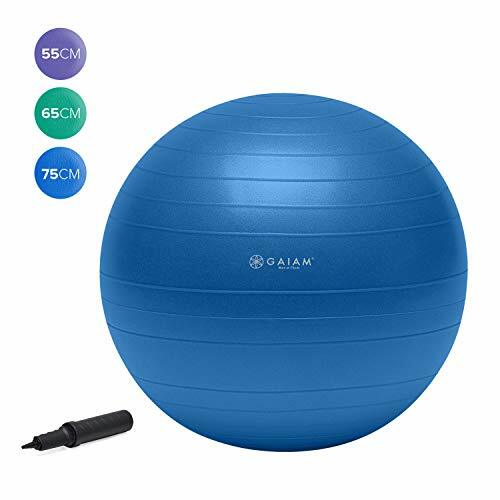 This exercise ball kit from Gaiam is perfect for anyone looking for a good body ball. Not only do you get a sturdy ball with an easy-to-use hand pump, but you also get a great workout DVD showing how to use it for a great workout. 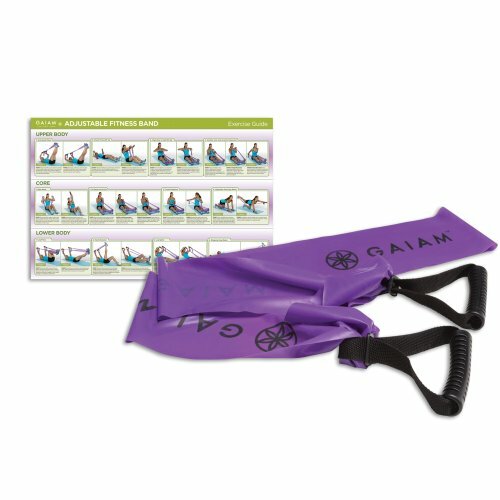 Also included is a resistance band for more exercise routines and workouts. The ball comes in three different sizes: 55, 65 and 75 cm. Stability ball, balance ball, Swiss ball...whatever you call it, this piece of workout gear is great for a variety of different exercises. Here are some short workout videos that show you how you can use it! As you do more home workout routines, you might find these other pieces of home fitness gear worth adding to your "personal gym". 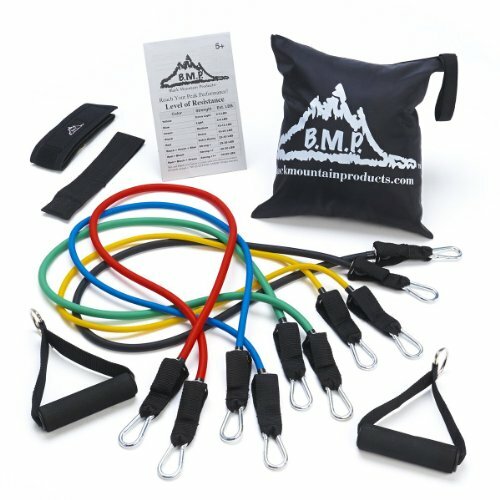 Resistance bands allow you to add variety to your strength training workouts. They can often be used as an alternative to free weights, or to add resistance to leg exercises (when simple leg lifts get "too easy"!) It's also great for taking your workout "on the road" when you travel - who wants to pack and carry heavy dumbbells? The kettlebell is a great piece of fitness equipment that can add really challenging exercises to your strengthening and core workouts. Although you can often use a dumbbell instead of a kettlebell, there are some exercises which really require a kettlebell to do properly. This kit comes complete with three different weight kettlebells and a training DVD - you can find plenty of kettlebell workouts online on Youtube as well. You don't need to go to the gym to get a step aerobic workout! 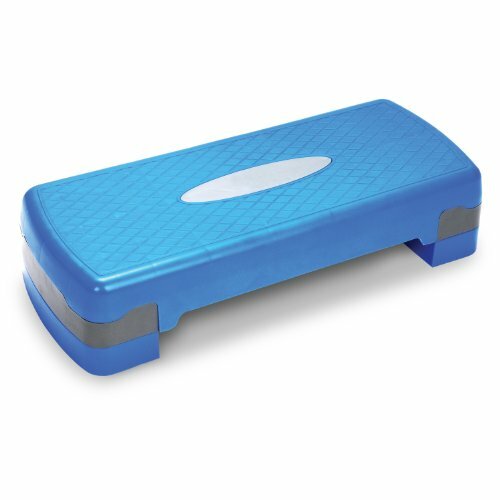 With this balance board/stepper, you can add stepping exercises to your home cardio workouts easily. A single fitness band may be all you need instead of an entire set of resistance bands. The fitness band is popular in pilates exercises - you can adjust the length to add more or less resistance as you want, and the handles make it easy to keep your grip while working out. The jump rope - a classic piece of gym equipment that can add intensity to any cardio workout! 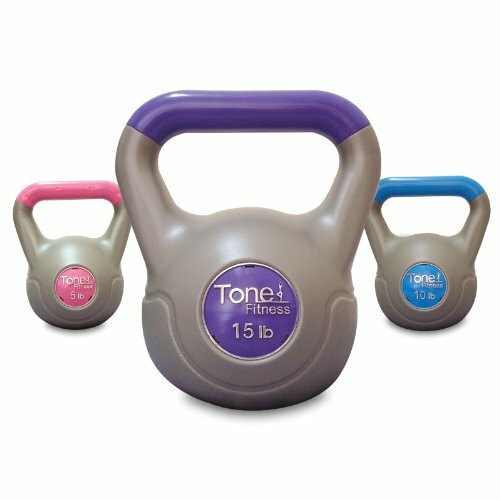 This model comes with removable handle weights, so you can add more intensity to your workout as you need it. Home workouts can be fit into your schedule easier. Yeah, when you live in more rural areas it can be hard to find any health club facilities nearby, let alone a good one. There aren't any health clubs in my corner of Maine, so I work out at home every day. I love yoga.